Master Stylist and Salon Company Owner Rob Godfrey has been in the professional salon industry since 1984. Rob has an extensive and lengthy resume. He spent over ten years traveling the globe as a Redken Artist. He traveled internationally teaching Color and Design in places like Europe, Japan, Malaysia and Taiwan. He taught at the Redken Exchange in New York and worked styling for Fashion Week in NYC. In 1989 Rob actualized the word, Volo (vo’ lo’) to grasp an idea, and created Salon Volo, which today is a thriving salon company with many clients who have been returning for years. In 2016 Volo began taking on employee shareholders. Rob has dedicated his professional life not only to doing hair and running a successful business but also to sharing his knowledge with others. 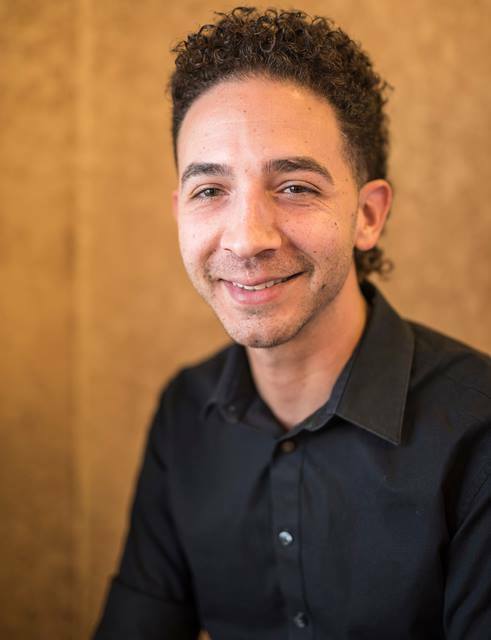 He considers his most important role as that of a mentor, his goal is to cultivate and grow dynamic hair professionals to share ownership in his successful salon. Self-described as beauty obsessive, St. Pete native Stephanie Lowe as a child learned to read from beauty books. Today Stephanie is known for her exceptional color talent, particularly with the most discerning blonde clients. She has gained this stature by honing the artful skill of foil placement, achieving her highly sought after blonding results. Stephanie’s dedication to continued education is evident in the many Redken Specialist Programs, Redken Symposiums and Redken Exchange classes she has attended. Stephanie began her career at Salon Volo at age 19 and has grown to the top tier of stylists. She additionally performs as an educator, mentoring and guiding our salon associates. In 2016 she purchased stock in Salon Volo, adding Shareholder to her already impressive resume. Tim’s aesthetic interest in art brought him to hair. He’s a St. Pete native who began his career at Salon Volo over ten years ago at the age of 17. After finishing his cosmetology education at American Institute of Beauty, he began building a large clientele under the guidance of salon owner Rob Godfrey. Tim is Redken Certified in both color and design. He has attended many Redken Symposiums and the Redken Exchange in New York City. Tim is highly skilled in both color and design; additionally his Barbering skills have garnered him a large loyal men’s following. Tim is dedicated to working in a collaborative environment. Originally from Ohio, Christine began her career at Salon Volo almost ten years ago as Rob’s Associate. Today she has a thriving clientele, specifically amongst discerning color clients. She dedicates herself to continuing education at The Redken Exchange where she masters new skills in seminars like “Color and Know Why.” Christine commits herself to learning and growing, always keeping up on new trends. Tina grew up in the salon environment; her mom is a stylist too. Tina has spent over 23 years as a salon professional. She is an education junkie! Tina has attended many Centricity and Redken Symposiums as well as all of the Redken Specialist Seminars. At the Redken Exchange in New York City classes like “Color and Know Why” and “Color 911” advanced her skill to master level. Another skill set where Tina excels is Special Occasion Dressing; her bridal hair designs have created countless memorable wedding day photos. Joey joined the Volo team in 2014 after graduating from The Salon Professional Academy, a Redken endorsed beauty school. Joey is a Certified Redken Specialist. Joey has taken advanced courses from industry’s leaders such as: Sam Villa, Justin Isaac, Tara Gardener and Ryan Morgan. He regularly attends industry events like The Centricity Seminars. He has a particular passion for color. April joins us from Wyoming where she graduated from Cheeks International Academy. Some of her industry certifications include: Advanced Color Correction, Advanced Extensions and Agave Smoothing Treatment. Committed to continuing her education she has studied with industry leaders such as Guy Tang, Tara Gardner and Sam Villa. April also excels with men’s cuts completing the course of Advanced Clipper Cut in 2013. 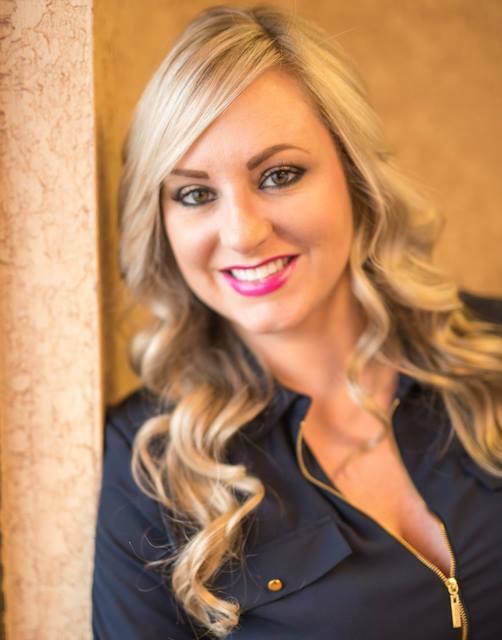 Originally from Ohio, Jessica has been in the professional salon business for 4 years. She graduated from The Aveda Institute in Tampa where she earned Certified Aveda Colorist and Hair Design honors. In 2019 she hopes to become a Redken Certified Colorist. Jessica has found great satisfaction offering her talents to local charity events including Haircuts for the Homeless, Haircuts for Foster Children and Day of Beauty Women’s Shelter of Tampa Bay. Jessica is known for her infectious positive nature. She thrives on transformations through hair color and design and takes an active roll in helping people discover their best selves. John joined the Volo Team in 2016 from Metro Detroit. In his earlier days as a professional ballet dancer his hands moved as skillfully on stage as they did back stage executing performance ready hair and make-up. John’s most recent educational credit is Redken Certified Colorist followed by Schwarzkopf Certified Colorist and Advanced Designer from the Vidal Sassoon Academy in Chicago. One of John’s most outstanding work experiences was on the hair team for The Detroit Theatre Bizarre 2012 and 2016. Now, more than a decade into his career, he finds his passion working with hair color and blonding. John’s appreciation for nuance is like mastering the art of performance. Ashley is a Clearwater native who joined the Volo Team in 2018. It has been more than 12 years since she turned her lifelong passion for hair and beauty into a career as a salon professional. She graduated from the American Institute of Beauty in St. Petersburg. Ashley is motivated by her guests appreciation for the color transformations she performs on them. Her blonding and styling skills are top notch. Ashley’s further training and experience has made her a master is eyelash extensions. Don’t let her mild manner fool you, she has ambitiously competed in national level hair competitions placing in the top 20. Robin takes great pride participating in the tremendous growth Salon Volo has seen over her 21 years of service. In addition to the many duties she undertakes as Salon Manager, Robin has become very active in Volo’s various charitable affiliations including The Lee Denim American Cancer Society Annual Fundraising Event for which Volo has raised over $10,000 to date. For many of our clients Robin is Salon Volo. She is known for her generosity of spirit, evident in the warm way she communicates with clients. Ira is in Guest Services at Salon Volo. Many of our guests recognize his as the "smooth as silk" voice on their voice mail messages, reminding them of their appointments. What most people don't know is that Ira has a background in musical theater. What makes him such an asset to our guest services though, is his background in high-end jewelry sales. Ira knows how to treat our guests like gold! Amanda is in Guest Services at Salon Volo. She is a St. Pete native with an ever present smile on her face. But, she's not just another pretty face. She is a fierce competitor on the volleyball court, where you will find her on most weekends. Customer service is her "other game," she takes very good care of our guests at the salon's front desk.